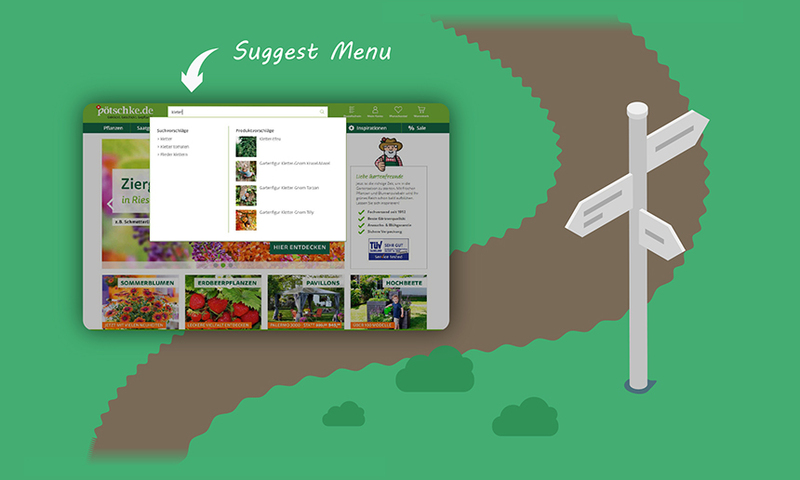 Take a walk through Gardener Poetschke’s journey of on-site optimisation that led to winning two Online Retail awards. Gardener Poetschke has specialized in garden and plant shipping since 1912 and is one of Germany’s oldest mail-order companies. This 107-year-old business shows that long-established and up-to-date aren’t contradictory and they have the accolades to prove it. 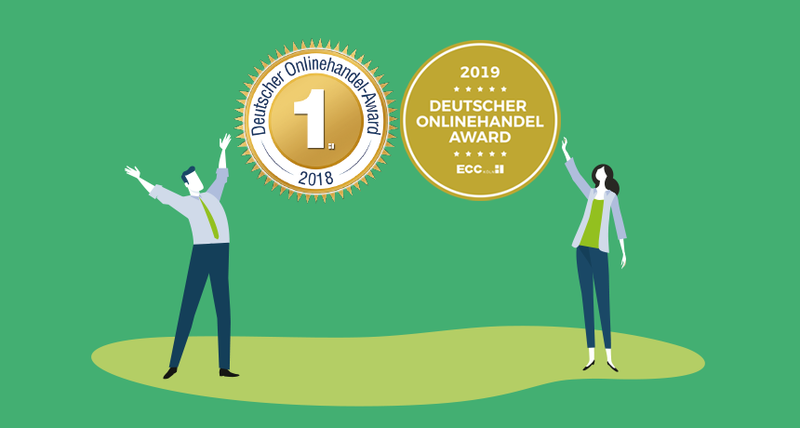 In 2018 and again in 2019, they were awarded as the best online shop by E-Commerce Germany Awards and in 2019 were recognized for their unique selling point by Internet World Business’ Shop Awards. So what exactly did they do to achieve such impressive results? Let’s break it down step by step. That’s how many items poetschke.de offers – an assortment of everything a gardener would need from seeds, tools, grills, to entire pavilions. Like their items assortment, their online visitors are just as diverse, varying from beginners to experts. Therefore it’s easy to understand that just how their skill level vary, so will their search behaviour. A product selection this wide and visitors with such differing characteristics, presents a serious challenge: how can desired products be found with so many choices and more importantly how can you cater to individual search habits? When visitors begin typing a product search, poetschke.de’s search bar automatically provides a result menu full of products, categories, and content suggestions. 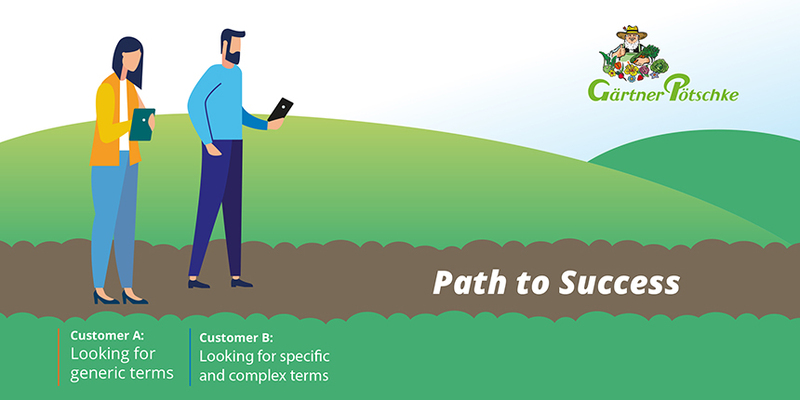 By just entering the first 3 letters, the autocomplete function confirms that the product is available and reassures the user that they’re on the right path. It also allows for exploration into alternative items or additional categories they hadn’t previously considered. 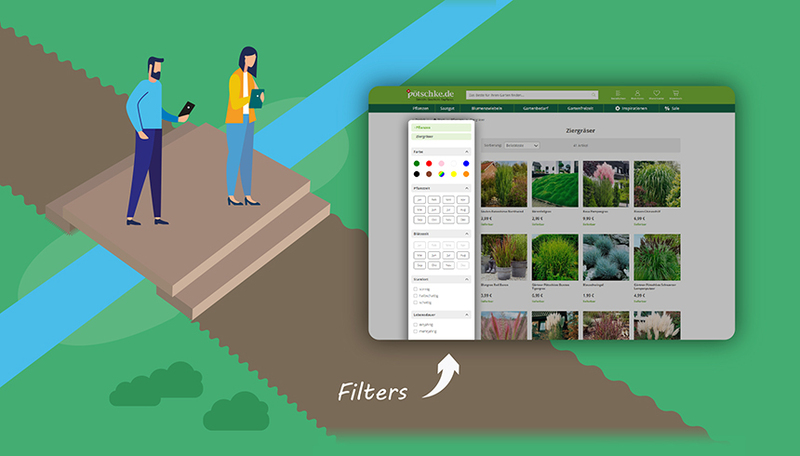 To prevent overwhelming customers with numerous results or confusing lists, Poetschke’s e-commerce team focused on implementing filter navigation. A simple question-and-answer format helps refine search results by restricting unwanted products. The more filters answered, the more criteria applied, resulting in highly-relevant items. An additional benefit of filters is a reduced return rate due to the customers’ involvement in the product selection. 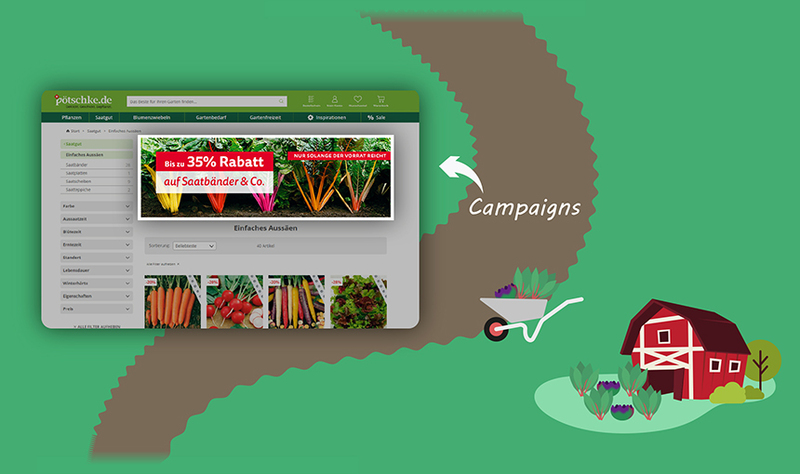 Gardener Poetschke knows that the sequence in which products appear in the results has a major effect on online conversion. That’s why their site delivers perfectly tailored results based on browsing and click behaviour within the customers’ session. The more active they are, the more the site continues to improve sorting, in real time and without any internal input. Showing personalised results to their online visitors has the advantages of speeding up purchases, increasing customer loyalty and growing sales. For those in search of inspiration, Poetschke provides content-rich campaigns to inspire purchases on specific house and garden topics. Seeking for a fragrant garden or a winter-resistant one? They’ll help you do it. In need of seasonal projects for Easter or gift ideas for the upcoming Christmas? They have advice for that too. When customers have finalized their selection and choose a specific product, poetschke.de directs them to a comprehensive page that details all item-related information. For plants and flowers, customers are instructed on lifespan, planting distance, bloom cycles, and care tips. For grills, visitors are informed of weight, dimensions, material, accessories included and instruction manuals ready for download. For all their items, Poetschke turns to consumer-generated content to provide customers with unbiased ratings and reviews. They provide all this content to their customers to help them purchase with confidence. 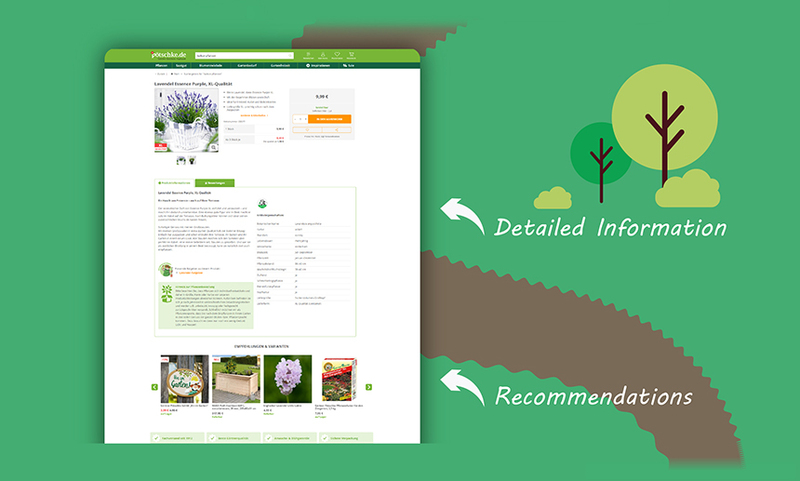 Gardener Poetschke provides its customers with an extra service in the form of recommendations. These are truly relevant, helpful, and intelligent recommendations based on: recurring product relationships, an evaluation of shopping basket contents, and customers’ personal preferences. These “You May Also Like” recommendations understand customers and increase the value of their shopping basket. 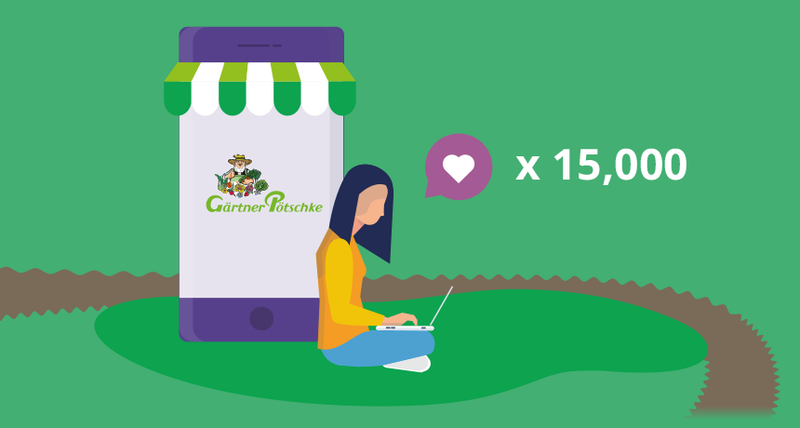 More than 15,000 consumers took part in a comprehensive survey that rated Germany’s largest and most prominent online shops to determine which one provides the best level of customer interaction. The survey was based on 7 customer-oriented factors: user experience, content and inspiration, service, assortment, price and performance, brand image, and convenience. This makes “Customers’ Choice – Best Online Shops” the benchmark survey in German e-commerce. The poetschke.de online shop led the company to win the Online Retail award in the “Garden and DIY” category, two years in a row. 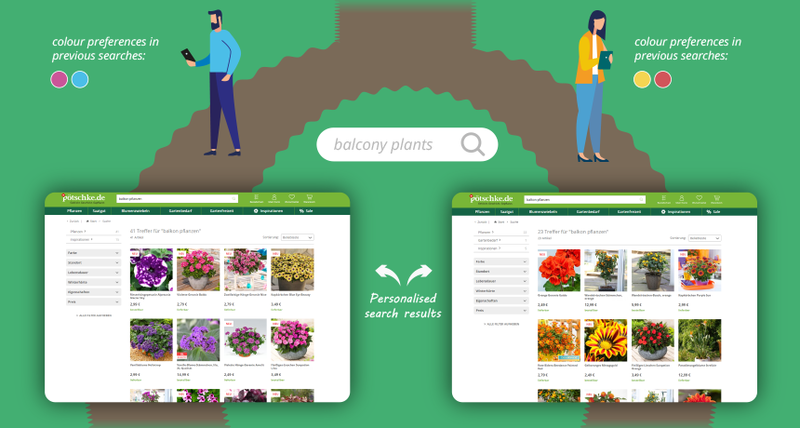 With the optimised changes to their search and navigation, Gardener Poetschke continues to provides customers with the ultimate shopping experience. It’s true – you reap what you sow. We reached out to DIY and Home Improvement experts to learn about their e-commerce strategies. In this webinar, we will share their insights and provide 5 solutions to help you improve your online shop. To read more about this topic, check out How to win an e-commerce award – Best Practice: Gärtner Pötschke.